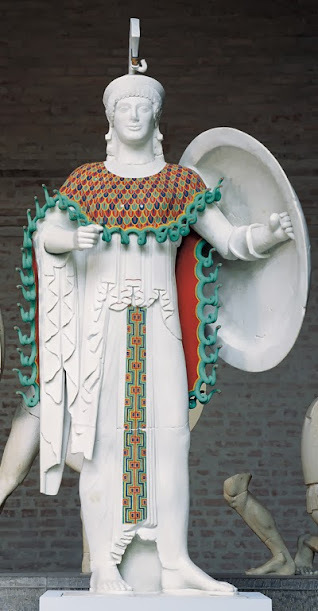 Even though it had long been suggested that ancient architecture and sculpture featured colors, it is only in the past twenty years or so that the true extent of their use was thoroughly researched and revealed. Our view of ancient buildings and statues, however, remains strikingly colorless. 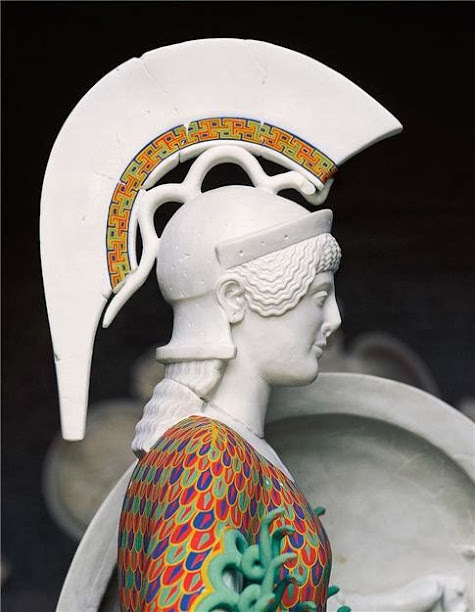 Other major finds have been announced, notably by the British Museum in 2009 about scientific evidence of mineral color on the Parthenon marbles. Still, ancient buildings and statues stay colorless in our collective imagination. The most obvious reason for that is of course that they have lost their colors through the centuries and now appear bare in museums, so that is how we see them. There is, however, a less obvious reason, which comes from 18th-century Neoclassical ideals. Under the influence of Johann Joachim Winckelmann and his History of Ancient Art(1764), Greek art was distorted. Winckelmann argued that color is not beauty itself and can only play a minor role in its creation, if any. He thought that beauty comes from structure and form, which makes colorless statues the most beautiful kind. Of course it did not help that statues had been colorless since the Renaissance, as master sculptors like Michelangelo took inspiration from ancient sculptures that had completely lost their colors. 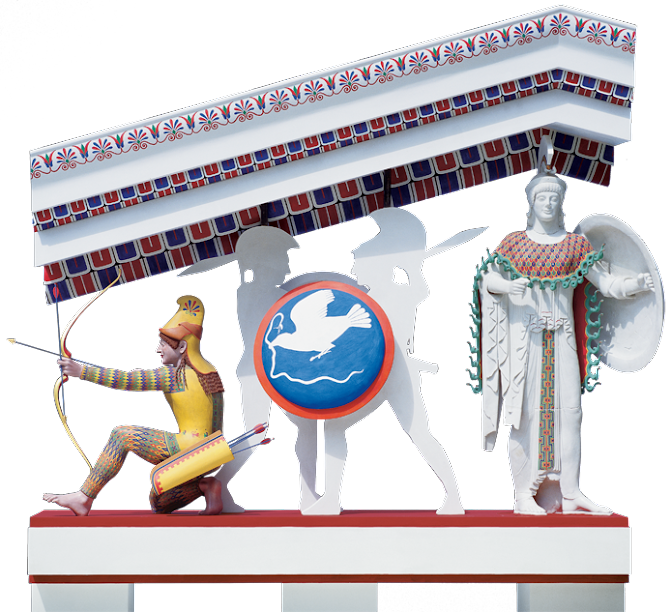 In other words, Renaissance sculptors and Neoclassical art history created an idealized version of ancient Greek art, ignoring the actual work of ancient artists, who made their statues come to life with vivid colors. That idealized view still influences the way we look at ancient art today. So ancient Greek statues will probably remain in our collective imagination as colorless exercises in pure form, because that is what time and Neoclassical ideals have made of them. The truth, however, seems to be on the side of bright colors and patterns of the kind revealed by Vinzenz Brinkmann, colors which are now forever lost, even though they have been found.